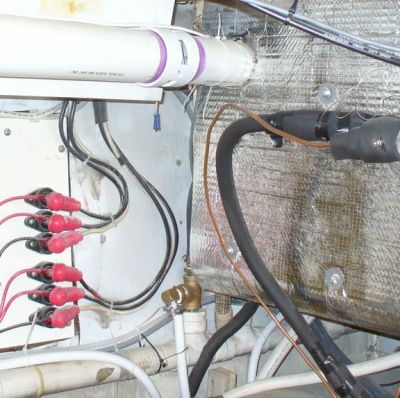 This area is the same area that used to be for intake air. We intend on using it to exhaust the heat out of the engine-room. 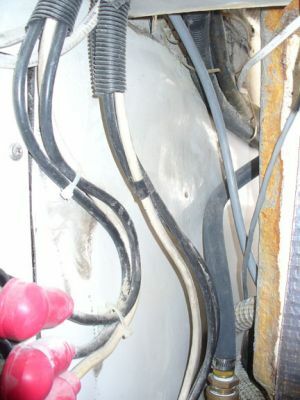 Fans will be used to push the hot air out of the room through this space then through the original intake vent and into the cockpit area. 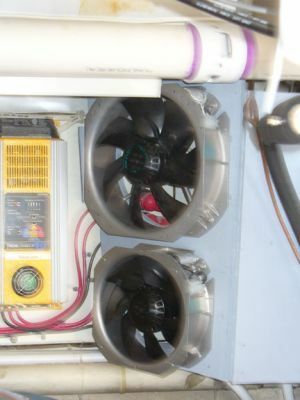 These two fans from ebm-papst will move a lot of air out of the small space. Plywood was used to box the area in such a way that would allow the fans to be mounted at an angle to push the air out of the room. The large fan is intended for use after a run, which will expel hot air air and be controlled by the e-plex system thermostat. 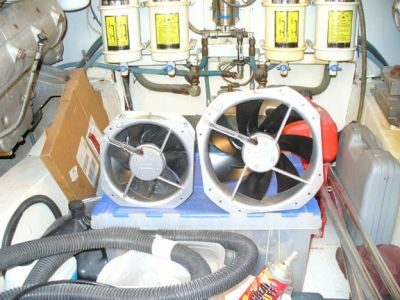 The smaller fan is intended to pull air through the Munter vents into and out of the Engine Room in an effort to keep unpleasant odors from permeating the living areas of the boat. 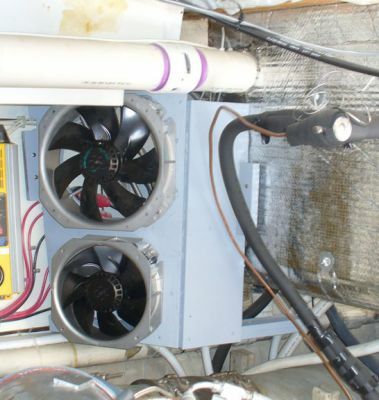 When building the box a separation was made between the two fans. When only one fan is being used, a venturi effect should be created that will draw air out of the opposing fan area. Wire mesh still needs to be placed over the fans and they need to be wired into the e-plex system. The gap at the lower right will also be filled in.